Canadian Solar, one of the world’s largest solar power companies, has opened a microgrid test center in Ontario that will share information and services with utilities, colleges, communities, and companies that want to develop microgrids. Partially funded by the Ontario Ministry of Energy, the center will study both off-grid and grid-tied microgrid projects. “The Canadian Solar Microgrid Testing Center will serve as our newest addition to our Total Solutions strategy, and will help further strengthen our position in the emerging multi-billion dollar micro-grid and smart grid sector,” said Dr. Shawn Qu, Canadian Solar’s chairman and CEO. The provincial government hopes to gain a strong competitive advantage in microgrid development with the help of the testing center. It will focus in particular on testing, developing and integrating high penetration renewable energy into existing microgrids that are not grid connected. The province sees benefit in off-grid projects for First Nations, remote communities and mining projects in Northern Ontario. 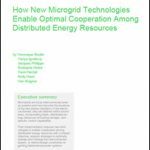 Interested in microgrids? Join out new LinkedIn Group, Microgrid Knowledge, and keep up with the latest on this emerging energy choice. The center will be located in Guelph, Ontario. Founded in 2001 in Canada, Canadian Solar operates in North America, South America, Europe, Africa, the Middle East, Australia and Asia. The company has delivered more than 6 GW of solar modules to customers in over 70 countries. Microgrid for Neighborhoods: How Soon?